Jaiwana Haveli was once the private residence of the Thakur of Jaiwana, one of the jagirdars of Maharanas of Mewar. 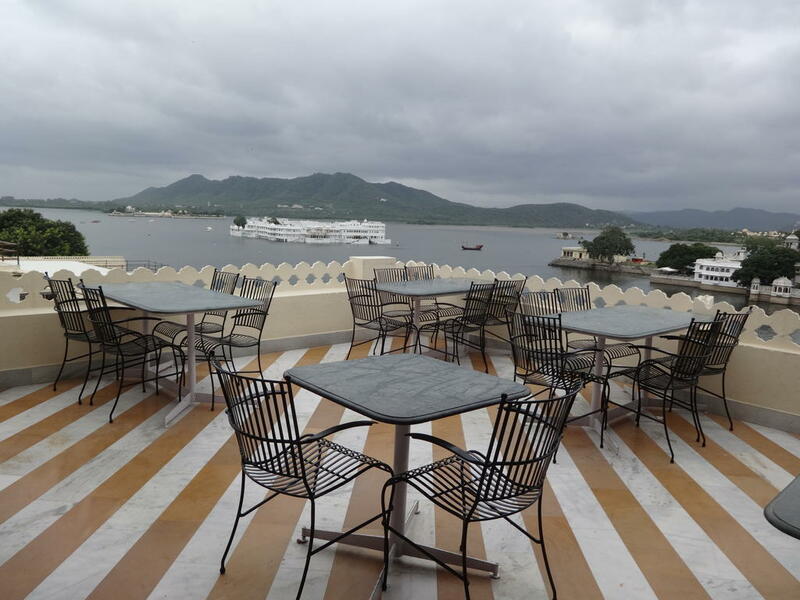 Located in the historic city of Udaipur, the hotel has an unbeatable location. The twenty-four room Jaiwana Haveli hotel is located on the eastern bank of Lake Pichola, and possesses unparalleled views across the sparkling waters and island palaces, to the Aravali Mountains beyond. The Jaiwana Haveli is professionally managed by brothers Yashwardhan and Harshwardhan Ranawat and their family, who have many years experience in the hotel profession. The roof top restaurant with its panoramic views has become a popular venue for visitors. An excellent choice of Indian, Mewari and continental cuisine is available. The hotel is just a stone’s throw from Udaipur’s famous City Palace and many of the other important landmarks, as well as the old bazaars that are so fascinating to explore. You may choose to go for a boat ride on Lake Pichola to obtain a different perspective of the magnificent waterfront or enjoy a spectacular sunset. We promise your stay at Jaiwana Haveli will be a highlight during your visit to Rajasthan and we think you’ll agree, excellent value for money. Front Desk, Restaurant, Smoking Rooms, Spa/Massage/Wellness, Family/Child Friendly, Backup Generator, Safe Deposit Box-Front Desk, Catering, Gardens, Security Guard. Smoking Rooms, , Dustbins, Desk, Complimentary Newspaper, Air Conditioning Room, Child Care, Internet Access, Basic Bathroom Amenities, H/C Water. User reviews for "Jaiwana Haveli Hotel Udaipur"